On March 22nd Citibank which issues Citi Visas and Mastercards released a “Commercial Firearms Policy” to announce unprecedented requirements to force firearms dealers who do business with Citibank to restrict certain sales of firearms and firearms accessories like “high capacity” magazines. Just for the record in the vast majority of cases it would be illegal for a licensed firearms dealer to sell a firearm to someone who hasn’t passed an FBI online background check. The only exception I know of, at least in Texas, is a person who holds a state issued concealed carry permit which means they have passed a far more extensive background check than what the FBI conducts. According to Breitbart it would also require dealers to refuse to sell a gun if an instant background check took more than three business days. The problem is that sometimes people with common names take longer to check. The FBI has to confirm they are not the felon who is on their list who just happens to have the same name. This sometimes takes time to appeal and prove you are not the felon who just happens to have the same name. Federal law allows sales of firearms to people between18-21 years of age with the required FBI background check. Citibank would like to repeal that right. My son at 18 was old enough to join the Marines and be issued an M16 so I think he was old enough at 18 to buy an AR-15. Finally they want to stop the sale of “high capacity” magazines which are perfectly legal. High capacity magazines for MSRs (Modern Sporting Rifles) like the AR-15 are not the problem. The problem is a failure to enforce current laws, failure to recognize and deal with severely mentally ill people (like just about all the mass murderers in recent history), and the arsine insistence that we not defend our schools with armed adults. “Gun Free Zones” are an invitation to mass murder. The Israelis learned that a long time ago and now protect their schools and school children “in depth,” to use a military term. 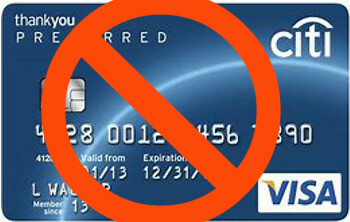 Therefore I cancelled my Costco Citi Visa card today (and cancelled my Costco membership too as Citi is their main card issuer). If you value your right to defend yourself and your family you might want to do the same.